Josh Brolin has been a Hollywood staple since his big screen debut in The Goonies. While that film’s long-awaited sequel is stalled in the pipeline, Brolin is keeping busy. The actor plays real-life elite firefighter Eric Marsh in the October 2017 release Only The Brave, which tells the story of the Yarnell Hill wildfire tragedy in Prescott, Arizona that claimed the lives of 19 crew members. He’s also returning to the role of Matt Graver in another story based on true events, Soldado, the sequel to the 2015 film Sicario that focuses on the drug war on the U.S.-Mexico border. And he reteamed with directors Joel and Ethan Coen for the October 2017 movie Suburbicon, a 1950s dark comedy that focuses on home invasion gone wrong. Having played everyone from President George W. Bush (W.) to real-life Hollywood “fixer” Eddie Mannix (Hail, Caesar! ), Brolin is reprising his role as Thanos in the 2018 Marvel superhero movie, Avengers: Infinity War. The actor discusses his own experience as a firefighter, why he’s given into geek culture, and even offers his two cents on The Goonies 2 in this interview. I&T Today: Can you talk about your connection with firefighters? 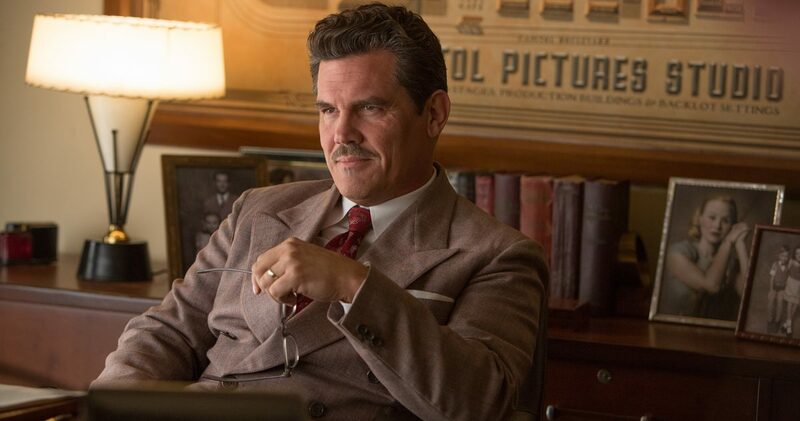 Josh Brolin: I’m doing a role right now where I like the character [Eric Marsh]. I don’t love him, but I like him. But I love what the movie represents. It’s about the Yarnell Hill fire tragedy. I have a real personal relationship with the firefighting industry and profession. I was a volunteer firefighter back when I was doing The Young Riders when I was 20, 21, 22. I didn’t tell them because it was totally wrong that I was actually fighting structural fires when I was working on a series. I shouldn’t have been doing it, obviously, but I did it because I felt like it, and I really appreciated my time with those guys. The camaraderie was something that I never experienced before, and it had a massive impact on me. So when this movie [Only The Brave] came along I didn’t particularly love the script, but I loved the story and I loved that community. So we brought some writers in and we changed it up and I feel really, really good about it now. It’s something that’s very personal to me. I&T Today: What’s it like for you to officially be part of the Marvel Universe as Thanos? Josh Brolin: I love it, man, because I think five years ago I would have shied away from it more. But there’s something about maturing, there’s something about embracing this thing that I do, which is always trying to play down being in the movie industry or whatever. There was always an embarrassment to it. Like an embarrassment of riches, even though there was no money….I’ve gotten to a place where I really enjoy not necessarily what I do, but I love the art of storytelling, which is a very interesting art and skill set. And there’s something very elusive and magical about it. It can really fall on its face or it can be an incredible experience, and I embrace that more than I ever have. And in any medium, whether it be theater, or movies, or a short film by a kid or whatever. A still from the Coen film. Hail Caesar. These Marvel guys have done this amazing thing of getting really into the storytelling. Mark Ruffalo is a buddy of mine and I saw [Jeremy] Renner after he did The Hurt Locker and really hit it – even though he had been around for a long time. And these really great directors like Louis D’Esposito and Kevin Feige are getting all these incredible actors to do these Marvel movies and that’s so smart. And these are real geeks, man. These guys are going out in Palm Springs and renting a house and doing barbecues and just talking about what Thanos may do next. It’s really cool. I’m totally embracing the nerd factor. I’m really like that myself and in everything else. I&T Today: Well, nerds are cool now, right? Josh Brolin: Apparently. That’s the thing. I must be a nerd now, or [I’ve] embraced it because I don’t care. I’m just in this place where I don’t care how I’m defined. It just doesn’t matter to me anymore. I just love people who are [passionate], do you know what I mean? I&T Today: Speaking of nerds, there’s a huge fan base that’s still waiting for Goonies to return. Josh Brolin: I remember him [Richard Donner] saying it would focus on the kids of these Goonies. Well, of course, it would. That’s just kind of obvious, but what would the parents be doing? The more I think about it, the funnier it seems to me. I don’t think there’s any reason to do it because why do you want to taint the original? We’ve already done it with so many movies and tainted the original movie with something that’s not even close to being as good or as iconic. But it sure is fun talking about it, isn’t it?